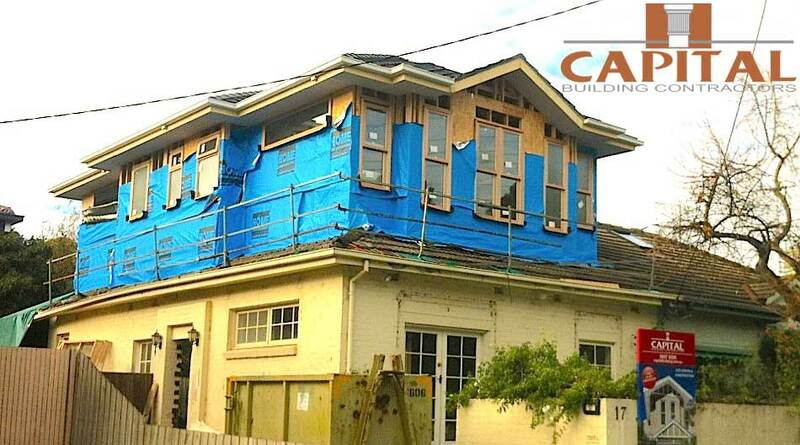 Capital Building Contractors have recently finished another major second-storey extension & renovation in the Melbourne suburb of Glen Iris. Nothing was left untouched. From simple cottage to stylish townhouse! Originally a small, single level, semi-detached, 2 bedroom cottage, this renovation and extension project was a major second-storey transformation. 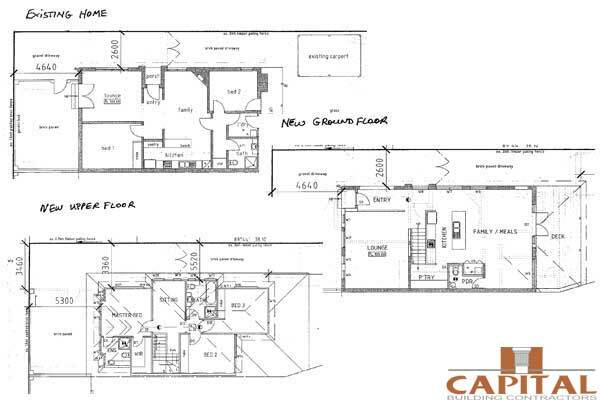 Second Storey Extension & Renovation – See plans above. The whole downstairs was opened out and side entry moved to the front. This enabled us to design a large living room and a large open plan kitchen, opening to a modern rear deck. A small laundry, butlers pantry and toilet were tucked away down the blindside and under the central stairs. Upstairs an addition with one large master bedroom, ensuite and two other bedrooms complete with a second bathroom. From boiled lollies to chocolates in about 6 months! We are proud of this building project, and can’t wait to share some photos with you shortly.